From water park fun to rock climbing, tire swings, tree forts and giant slides there's endless adventures waiting to be discovered in our play spots that have been designed just for the kids. Browse homes near Edmonton's best playgrounds or find out more about them! From great tree trunk inspired climbing facilities to expansive rock structures, waterparks, slides and nautical themed jungle gyms for kids, these outdoor facilities have great opportunities for the little ones to blow off steam. Here they can interact with their peers while parents in the nearby neighbourhoods have an opportunity to mingle and get to know each other. Frugal Edmonton Mama ranked top 10 playgrounds in greater Edmonton & offers an overview of these creative outdoor spaces. 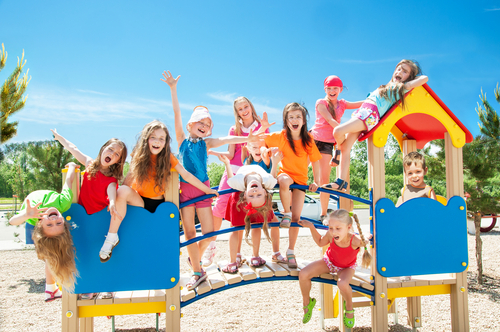 Whether you want to take the gang to an electronic playground at Father Jan School St. Albert, or to the fun obstacle courses at Greenfield School playground there's plenty of different types of activity spots to choose from. Our surrounding communities here offer walking distance to the best playgrounds in the city, as well local community centers, schools, recreation facilities and more. So pack some snacks, sun screen or bug spray and get on the bikes or into the car and head out to discover what makes this city unique and fun for all ages. Do you have your eye on a particular neighbourhood near the best playgrounds listed, but want to know more about the area? Let us know; we'll answer your questions and fill you in on the area. Email us or give us a call at: 780.486.8655.